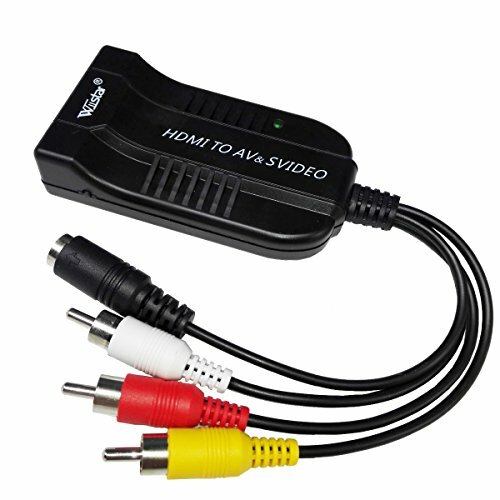 This HDMI to composite Male AV converter will give a standard RCA(Yellow/White/Red) or YPBPR connection from any HDMI signal.Resolution up to 1080P.With this converter,you can enjoy high-definition video on a regular TV,which brings you a good visual experience. Device Type: HDMI to Male 3RCA + Audio + Composite/S-video Converter Adapter. This converter only converts HDMI to AV. This HDMI to composite Male AV converter converts HDMI signal to Composite/S-video + Audio R/L signal. Compatible with HDMI1.3.Provides advanced signal processing with great precision, colors, resolutions, and details. If your TV have CEC function,please turn down it when you use our product. If you have any questions about this product by Wiistar, contact us by completing and submitting the form below. If you are looking for a specif part number, please include it with your message.